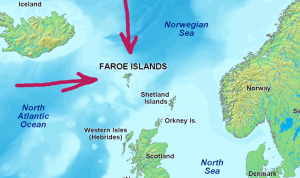 Faroese (føroyskt mál) is a North Germanic language spoken mainly in the Faroe Islands (Føroyar) by about 72,000 people, 51,000 of whom reside on the Faroe Islands and 21,000 in other areas, mainly Denmark. Faroese is closely related to Icelandic, and the dialects of western Norway. 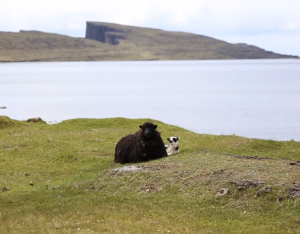 However, as a result of the isolation, Faroese has a distinctive character of its own. Faroese became the official language of education in the Faroe Islands, replacing Danish, in 1937. The following year Faroese started to be used in churches, and it became the national language of the Faroe Islands in 1948. During the 1980s Faroese started to be used in media and advertising. 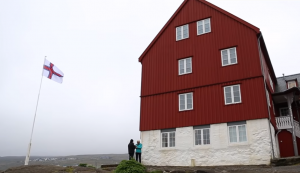 About 5% of the people in the Faroe Islands speak Danish as their mother tongue, and children have to learn it in school. Nordic-Baltic Translation agency Baltic Media is a leading provider of digital translation services in Northern Europe specializing in Northern European (incl. Nordic, Baltic, Slavic) languages mostly in translation services from/into Swedish, Finnish, Danish, Icelandic, Faroese, Norwegian, German, English, Polish, Russian, Latvian, Lithuanian and Estonian. Why choose Faroese Translation Company Baltic Media? Why Human Swedish Translation Services is Your Best Choice? More than 5 Faroese language specialists are listed on our databases. 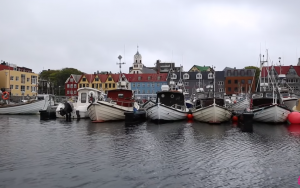 In accordance with the quality policy of “Baltic Media” translation into the language required by the Client is carried out by a Faroese translator who is a NATIVE speaker of Faroeseh and/or who resides on the Faroe Islands. We employ only professional Faroese translation specialists with a college/university degree in linguistics and/or with experience in Faroese translation work with/without specialisation in a specific field. We have introduced and we work in accordance with ISO 9001:2015 Quality Management System thus we have improved the Faroese translation project coordination and Faroese translator selection procedure. Baltic Media has its own Faroese translator testing system. Criteria: linguistic education, at least 5 years of experience in Faroese translation, references from other clients, Faroese test translation. A great number of our Swedish suppliers are certified Faroese translators. This qualification is essential for Faroese translations certified by a notary as well as for interpretation in Court trials. Each Faroese translation goes through three stages: translation, editing and proof-reading. Faroese translators work with translation programs Trados Translator’s Workbench and Trados MultiTerm which ensure consistent terminology. Data safety, storage and confidentiality are our responsibilities. Server storage for finished Faroese translations. If you lose your Faroese translation, we will find it in our electronic archives. Educated, competent and service oriented Faroese translation project managers who constantly improve their qualifications in Faroese project management. Insurance of civil liability against possible Faroese translation mistakes — insurance company will compensate the loss caused to the client. Such cases cannot be found during of the Baltic Media operation history. However, it serves as an additional guarantee for the client. We work globally and have 24 years of international work experience since we have our customers and Faroese translators in all continents. Additional services: layout design for Swedish translations, preprint preparation. When handing in the copy for Faroese translation, you may choose to receive the layout ready to print. Layout design service (DTP — Desktop Publishing). Legal Faroese translations, Machinery and technologies, Business, Finance, Medicine, Advertising, communications, PR, Transport, Computer hardware and software, Science, Agriculture, Automotive, European Union Documents, Legal, Government, Industrial, Life Science, Retail, Technology Swedish translations. We conclude agreements with all our Clients, with particular commitment to the quality of work, terms of delivery and confidentiality. The services we offer are adaptable to our Clients’ requirements. One of the most essential requirements is prompt service. It is also possible to contact us outside working hours. Quality and promptness — these are two of the main reasons we have gained our Clients’ trust. Upon request we can provide assistance with additional languages. For more detailed information, please contact [email protected]. Other than operating with the most commonly used text processing software, for instance, Microsoft Office (Word, Excel, Power Point), Adobe Page Maker, and others, we also use special translation software such as Trados SDL, Trados Translator’s Workbench and Trados MultiTerm, Wordfast, thus forming Clients’ terminology databases. In addition, we offer text conversion from/to PC and Mac platforms, preparation of printing proofs. Our specialists are also experienced in Faroese web site and software localization and translation of subtitles,voice over, dubbing of TV programs, movie trailers, video games, radio programs, commercials into Faroese.